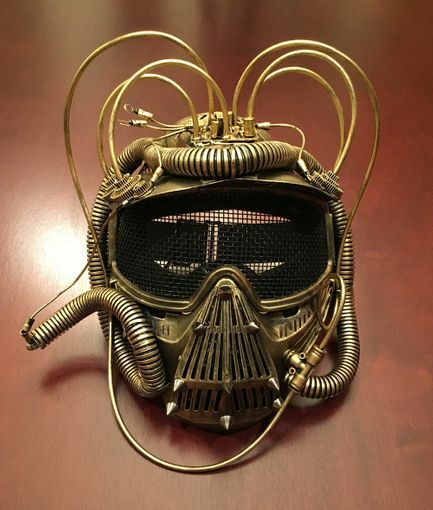 This futuristic space mask is hand made and painted. Space mask is accented with wire tubes, gears, and micro chips. Mask is made of a non bendable PVC and comes with black elastic ties for a comfortable fit. This mask is also available in silver. This is a costume accessory and not to be used a real functioning gas mask.